You know how it is with the crossover sport utility segment. Carmakers come out with a brand-new model, it sees some sales success, and then when it comes time to replace it, its successor is always bigger. The new Nissan Rogue was unveiled today, and it's no exception. The new Rogue follows the same playbook that has made the RAV4, CR-V and others bigger and more "family-friendly" over the years by growing in size, albeit slightly. The new Rogue is 1.1 inches wider, and 1.2 inches taller, and has a wheelbase stretched by 0.6 inch. It also has seven seats now. 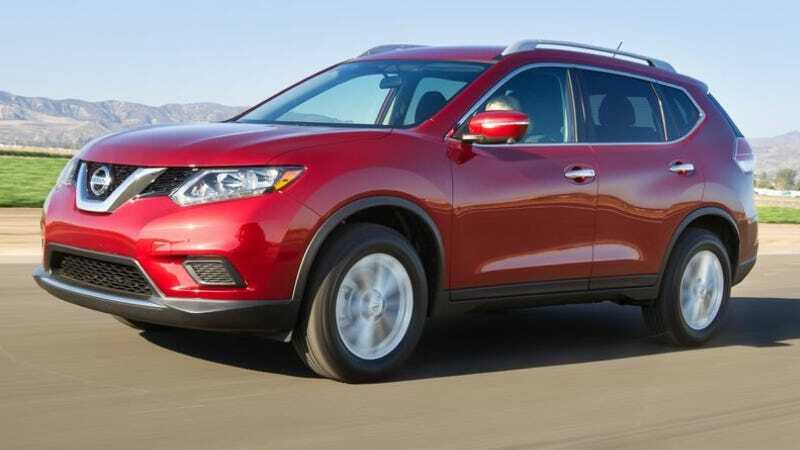 Should the larger Rogue pique your curiousity, you also get a 2.5-liter 170-horsepower four cylinder engine partnered with the latest Nissan Xtronic CVT. Prices start at under $23,000.